Belle is not so very different from any other teenager. She is forced to move in with her grandfather, and she must let everything she ever knew and loved go. She is faced with the job of leaving her past behind her. Belle must learn to accept her life on life's terms. This is a reality that cannot be changed. Just when everything seems to be going along in a normal manner, the entire structure of what was a normal life, gets torn to pieces, and they are forced to find a way to live through their loss. The tragedy that they must face brings many changes in their lives. Their emotions run rampant as they each struggle to accept loss, change, and their own sorrow. Each person must try to find their way to peace amongst their tragedy. They wonder if joy will ever return to their lives. 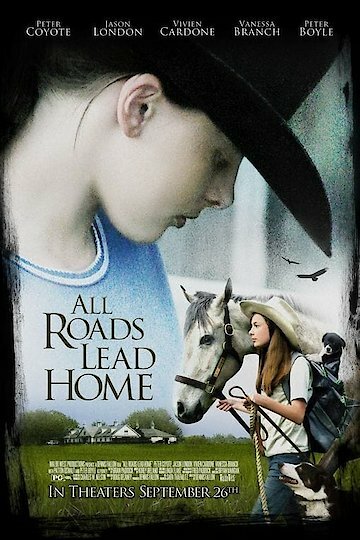 All Roads Lead Home is currently available to watch free on Tubi TV and stream, download, buy, rent on demand at Amazon Prime, Vudu, Google Play, YouTube VOD online.